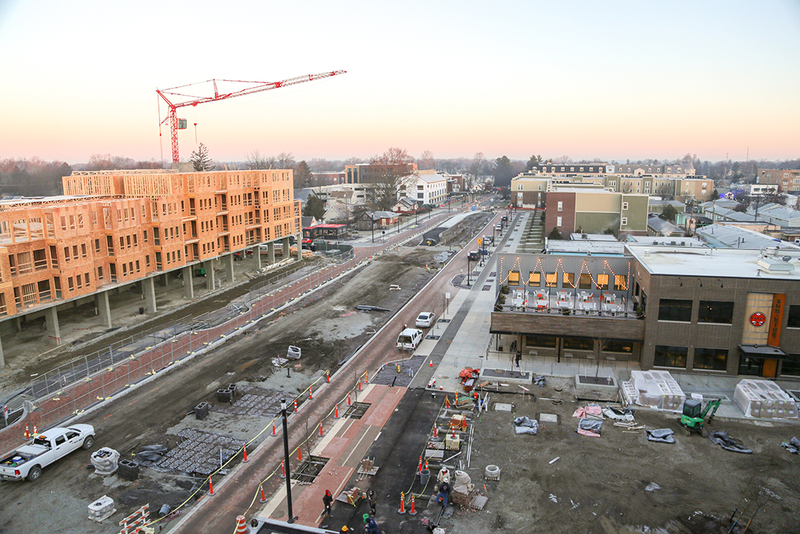 As Carmel residents prepare the year ahead, its leaders are looking forward to completing projects along the Monon Trail in the city’s core they believe will benefit residents all across town. Other projects and events coming in 2019 include several new roundabouts, municipal elections and an expanded parks system. The following is a summary of what Carmel residents can expect to see this year. In 2017, the city began a $20 million project to widen the Monon Greenway and add roads alongside it to support development in the area, which includes the new Sun King Distillery and Allied Solutions headquarters. Work progressed throughout 2018 and is set to wrap up this year. The project includes Monon Plaza, an area under construction just south of Sun King Distillery on the east side of the Monon Trail. It will have movable outdoor furniture, pingpong tables, bocce ball courts, shaded areas and space for outdoor movies, concerts and other events. 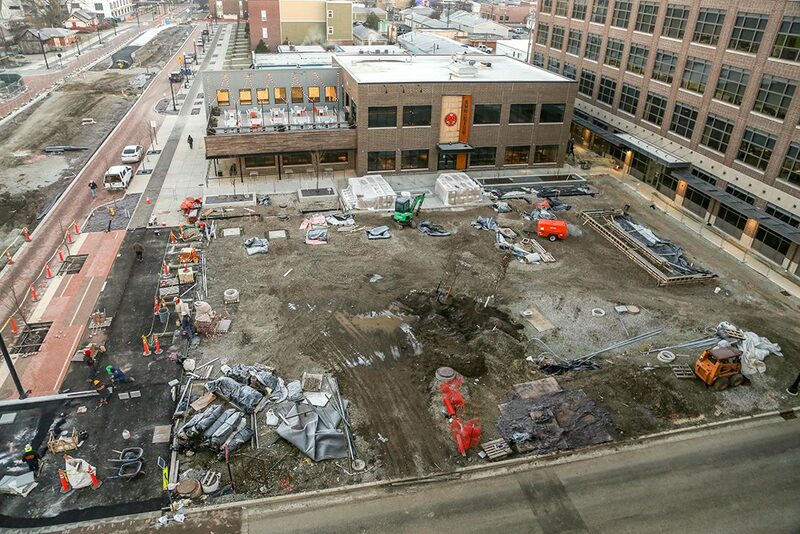 It is expected to open to the public in the spring. “It’s important to have places where people from different crowds can come together in the public realm,” Carmel Mayor Jim Brainard said. Other 2019 upgrades along the Monon include improvements to the Kawachinagano Japanese Garden just south of City Hall and the installation of a splash pad for kids and an adult playground with exercise machines and places for guests to socialize in Midtown. “This has become very popular in China and major cities around the world in the last couple of years,” Brainard said. Carmel is expected to continue aggressive road construction, with the largest project – the transformation of the intersection of 96th Street and Keystone Parkway into a roundabout – expected to be complete by the end of the year. Range Line Road is expected to continue its transformation, with new roundabouts planned at 6th Street, Medical Drive and 116th Street. “That’s going to make Range Line flow so much better in those areas and should encourage redevelopment in those areas as well,” Brainard said. Other roundabouts coming in 2019 are at Guilford Road and Main Street, 96th Street and Gray Road, 96th Street and Delegates Row, Carmel Drive and Pennsylvania Street and 116th Street and AAA Way. The city also is expected to complete a reconstruction of Range Line Road between Eighth Street to just south of Clay Terrace. The project had been planned to wrap up in 2018 but has been delayed to spring. A county project adding a ramp from 146th Street to southbound Keystone Parkway is expected to be complete by June. A second phase of the project will begin and includes extending Lowe’s Way to a new roundabout at Range Line Road. It is expected to be complete in 2020. All municipal offices are up for election in 2019. The primary election will be May 7 with the general election Nov. 5. Brainard confirmed in the summer that he will seek his seventh term as mayor, and all seven members of the Carmel City Council have indicated that they will seek re-election. An additional council district and third at-large seat will be added in 2019 as a result of Carmel becoming a second-class city. The council approved the new districts in November. Councilor Jeff Worrell, who currently represents the southeast district, announced in August that he will seek a newly created at-large position. Adam Aasen, a local business owner and former reporter for Current in Carmel, is running for office in the southeast district. Home Place resident Matt Milam announced in October that he would seek election to the Carmel City Council in 2019. In 2018, Carmel annexed Home Place, which did not have representation on the council before the annexation. Home Place will be in the southwest district for the 2019 election, which means Milam will challenge incumbent Tony Green. Carmel City Court Judge Brian Poindexter also has announced his re-election campaign. Carmel annexed Home Place in 2018 after more than a decade in court, and this year the full effect of the annexation will take effect. In 2019, the Carmel Police Dept. will begin patrolling and responding to calls in Home Place and the Carmel Street Dept. will begin maintaining roads and converting streetlights to LED. Carmel also will be responsible for sweeping the streets, mowing the right-of-way and removing snow. Home Place residents also will begin paying Carmel’s tax rate in 2019, although it isn’t due until 2020. The city’s tax rate for 2019 has not been announced. Several popular events are expected to return, including CarmelFest, the Christkindlmarkt, the Carmel Marathon and summer concerts at the gazebo. Some events will return with a new spin, such as Meet Me on Main, which replaces the Gallery Walks held the second Saturday each month in the Arts & Design District. Like the Gallery Walks, Meet Me on Main will include live music, face painting, businesses offering extended hours and hands-on art projects, but the scavenger hunt will be replaced by a raffle for three $100 gift cards to local businesses. The city also is renaming “Jazz on the Monon” concerts to “Music on the Monon” to expand the musical selection and appeal to a wider audience. The City of Carmel will present a new Martin Luther King Jr. Day celebration in conjunction with the Mayor’s Advisory Commission on Human Relations on Jan. 21 at the Tarkington Theater. Carmel included $125,000 in its 2019 budget to use as seed money to launch an international films festival, but city officials have declined to elaborate on details. 2019 is expected to be a big year for Carmel Clay Parks & Recreation, with interim Director Michael Klitzing expected to be appointed to the role permanently in January. The expansion of West Park is expected to be complete in 2019. 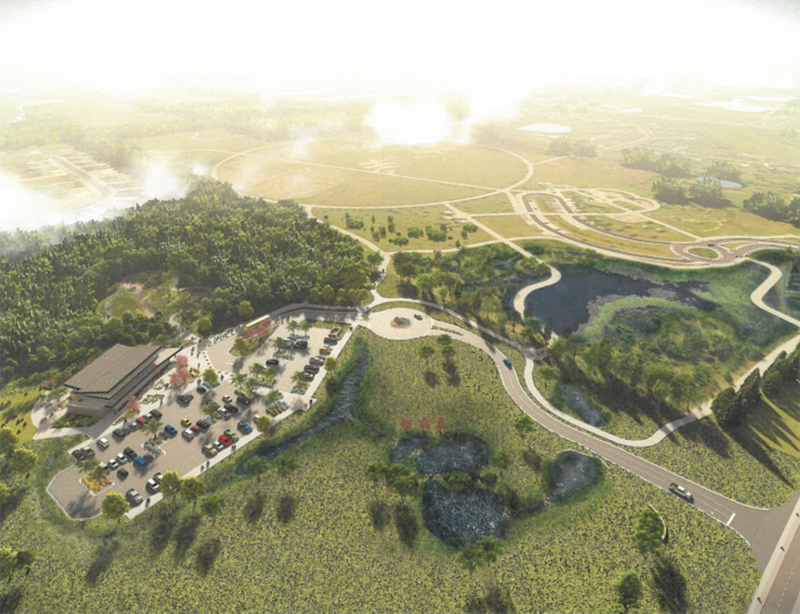 Known as The Groves, it will include an 8,000-square-foot program pavilion, loop trail in the woods and playground. New playground equipment will be unveiled at Lawrence W. Inlow Park in the spring. It will include a skywalk, a 32-foot-long high-rope walkway 16 feet above the ground. Other elements will include swings, slides and a ground-level ropes course. A new trailhead with restrooms and other amenities is planned to be installed in 2019 along the Monon Trail in Carmel’s Central Park north of the Monon Community Center. Construction is expected to begin preliminary site work this summer on two new elementary school buildings. A new Carmel Elementary building will be constructed just south of the current one, and a new building to replace Orchard Park Elementary will be constructed on Clay Center Road. Students are expected to transition to the new school buildings for the 2021-22 school year.